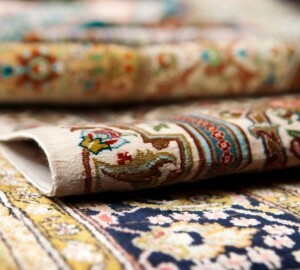 Invest in professional rug cleaning to save time and avoid the hassle of cleaning rugs yourself. It’s a worthy investment that will make your home carpets last longer and ensure that your home looks incredible. Services are more affordable than you think, and you will be amazed at how much a thorough cleaning will improve the look of your carpets. Here are some other benefits you will enjoy when you invest in professional carpet cleaning. Home carpet cleaners do not have the power that commercial machines possess. They put plenty of water down, but they lack the suction to pull it back out again. It is that suction power that pulls out water along with pollutants and allergens. Without professional cleaning, allergens from the spring can remain trapped in your carpet for months, and they will irritate your allergies every time you walk through the room. Invest in professional services to remove those allergens and find relief from the misery. Dust mites are one of the allergens trapped deep in your carpet. These microscopic creatures are not harmful, but the feces and body fragments they leave behind can upset allergies when they are inhaled. With steam cleaning and powerful equipment, dust mites become a thing of the past. Does your home have a faint odor? Have you searched for that musty smell but cannot pinpoint the source? Look at your carpet and you may find the culprit. Spilled drinks, pet urine, and even moisture tracked in on shoes can sink into the carpet fibers and encourage the growth of mold. With professional services, the carpet is cleaned to remove mold spores and ensure that your home smells fresh. Steam cleaning the carpets yourself is tiring. It’s a lot of walking back and forth, and the process can take hours. In addition to working the machine, you have to spend time emptying it and refilling the tanks. Spare yourself the workout and avoid the sore muscles by trusting the chore to professionals. We will move the furniture, thoroughly clean your carpets and then put the furniture back in place. How many hours do you have to devote to cleaning the carpets? Cleaning the carpets properly can take professionals a few hours, and it can consume the better part of your day if you do it yourself. Spend your time doing something you actually enjoy and let the professionals clean the carpets. There are countless reasons to invest in professional carpet cleaning services. A clean carpet is a joy to behold and is comfortable to walk on. Your carpet will last longer when it’s clean, and family members with allergies will finally enjoy some relief. There’s no need to wear yourself out with the chore or spend your precious free time on the project. High Quality Carpet can clean the carpets for you to ensure that they are clean, your home smells fresh and your carpets and rugs look incredible.